Through autumn and well into winter we struggled to keep clear of the bottom two places in the table. Our form after the turn of the year has guaranteed another season in the top league and offers months of preparation for the next campaign. 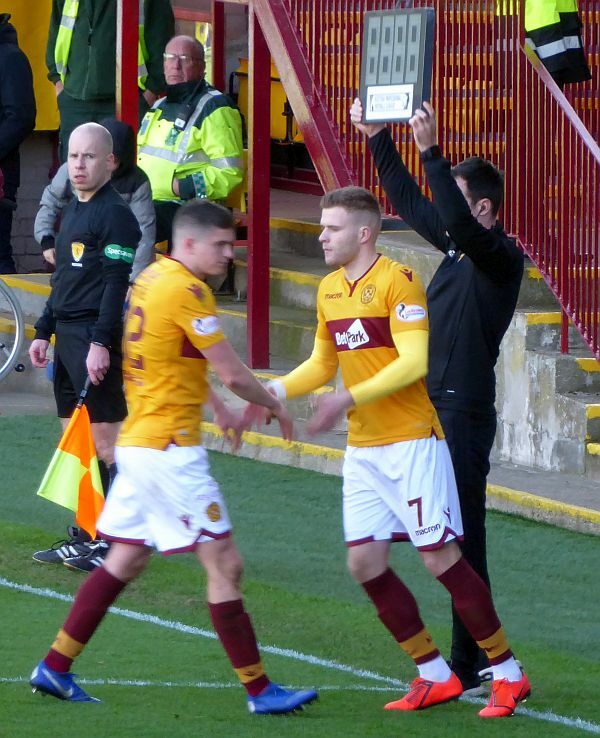 We had to wait an hour on Saturday to see Motherwell play with the confidence and flair that has produced the late run as the split approaches. Until then the contest with St Johnstone would have been written off as a poor spectacle. Neither team could claim the upper hand and both relied on the safety first strategy of moving the ball upfield as soon as possible. There's no doubt that the double substitution proved to be the turning point. Elliott Frear produced an excellent strike for the opening goal but it was the return of a fit Chris Cadden that seemed to lift the team and the crowd. Our number seven had been missing since the middle of November and it was a joy to see him burst forward from midfield with the speed and confidence that is his trademark. There was no reaction from the visitors and we were able to put the game beyond reach ten minutes later. David Turnbull shot through Tansey's legs to score the second before captain Tait delivered the third with the stadium clock on 90 minutes. We finished the game with a smile and a swagger. Before the team travels to Pittodrie on Wednesday we have a chance of a trophy on Monday. Motherwell face Hearts at Tynecastle in the Reserve Cup final. Kick off is at 7pm.